The International Federation of Audit Bureaux of Certification (IFABC) is a global federation of organisations that deliver services to support transparency and accountablity in media data. Shelton, CT July 12, 2011 – Media owners go to great lengths to measure and analyze traffic to their websites as they vie to attract advertisers. But in spite of their efforts, many may not be counting all of the visitors to their sites. Unlike web analytics tools, part of the BPA Interactive audit process involves verifying the integrity of tag placement. The tag audit, which is performed on a regular basis, is provided free of charge to BPA Interactive member and applicant sites. A not-for-profit organization since 1931, BPA Worldwide is governed by a tripartite board comprised of media owners, advertising agencies and advertisers. 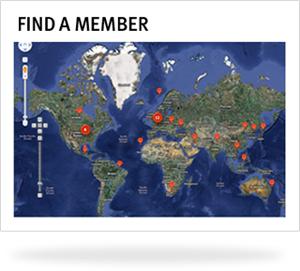 Headquartered in Shelton, Connecticut, USA, BPA has the largest membership of any media-auditing organization in the world, spanning more than 30 countries. Worldwide, BPA audits 2,600+ media properties—including B-to-B publications, consumer magazines, newspapers, web sites, events, e-newsletters, databases, wireless and other advertiser-supported media—as well as 2,700 advertiser and agency members. Visit www.bpaww.com for the latest audit reports, membership information and publishing and advertising industry news. Shelton, CT July 26, 2011– BPA Worldwide, the global leader of auditing media, has named Rodney Perry Vice President of CCAB, its Canadian audit division. Perry, a veteran of Canada’s digital media industry, will be based in CCAB’s Toronto office.Perry most recently served as Managing Partner MEC Interaction, at Mediaedge:cia, where he managed the online ad spending for a number of clients, including Molson, Ford, Paramount, Sears, Novartis and Wyeth. He built the digital and emerging media practice within Mediaedge:cia with specialties including social media, mobile, search, ad operations and strategic planning. During his time with Mediaedge:cia, Perry also taught the digital and emerging media course at Toronto-based Humber College. Prior to joining Mediaedge in 2007, Perry was Group Director of Strategy at OMD Digital, working with Dell, Pepsi, Nissan, Infinity and McDonald’s. Between 2003 and 2006, he was Director of Sales and Marketing, eBusiness, with Rogers Communications. Perry has also held marketing positions with Hudson Bay’s Hbc Direct and Zellers. Perry earned a degree in Business Administration, Marketing Management, from Lambton College. Bruce Neve, CEO of Starcom MediaVest Group and a member of the CCAB Newspaper Advisory Board, added, "Rodney brings a strong commitment to client service, product excellence and a digitally infused mindset that will serve CCAB well moving forward. A true innovator and problem-solver, I look forward to continuing to serve on the CCAB Board with Rodney in this leadership role." About CCAB/BPA Worldwide CCAB, a division of BPA Worldwide, serves Canadian consumer magazines, business publications, newspapers, advertisers and advertising agencies. A not-for-profit organization since 1931, BPA Worldwide is governed by a tripartite board comprising media owners, advertising agencies and advertisers. Headquartered in Shelton, Connecticut, USA, BPA has the largest membership of any media-auditing organization in the world, spanning more than 25 countries. Worldwide, BPA serves 2,700 media properties—including B-to-B publications, consumer magazines, newspapers, websites, events, email newsletters, databases, wireless and other advertiser-supported media—as well as more than 2,600 advertiser and agency members. Visit www.bpaww.com for the latest audit reports, membership information and publishing and advertising industry news.